It’s been an incredible 12 months for Çiğdem Aslan. 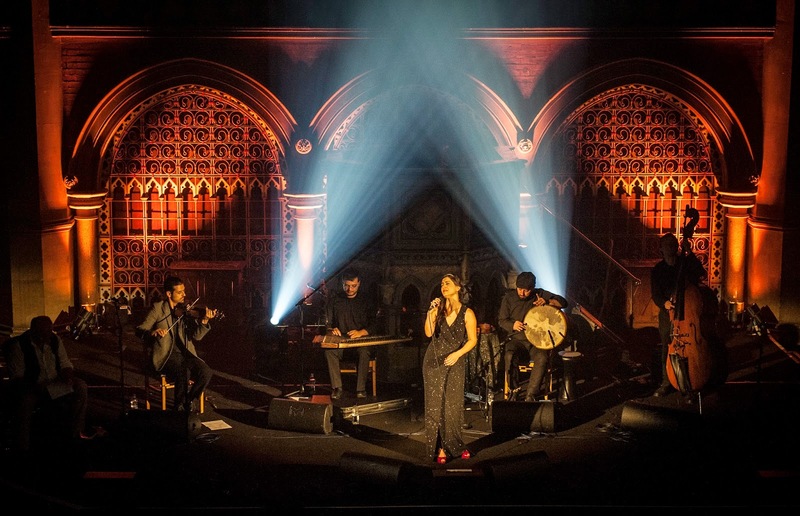 Described by the Guardian as, “one of the best British-based discoveries of the year”, she released her debut album Mortissa last October to critical acclaim in both the UK and in her native Turkey. Among her many achievements this past year was to be nominated in Songlines’ Best Artist category alongside World Music legends Manu Chao and Mulatu Astatke. Her musical repertoire reflects the cultural mosaic she is part of. Previously best known as the lead vocalist of Balkans band She'Koyokh, the soulful singer has a way of connecting her audiences to songs even where we don’t understand any of the words. T-VINE caught up with Çiğdem just before she embarked on her recent 12-date tour of Britain. How did you get into music and what did your family make of your career choice? The youngest of four siblings (two older sisters and a brother), Çiğdem was born in Istanbul in 1980 to Kurdish parents. She moved to London in 2003 to further her studies and ended up staying. One of her sisters and her brother were already settled here, so the transition was relatively easy. 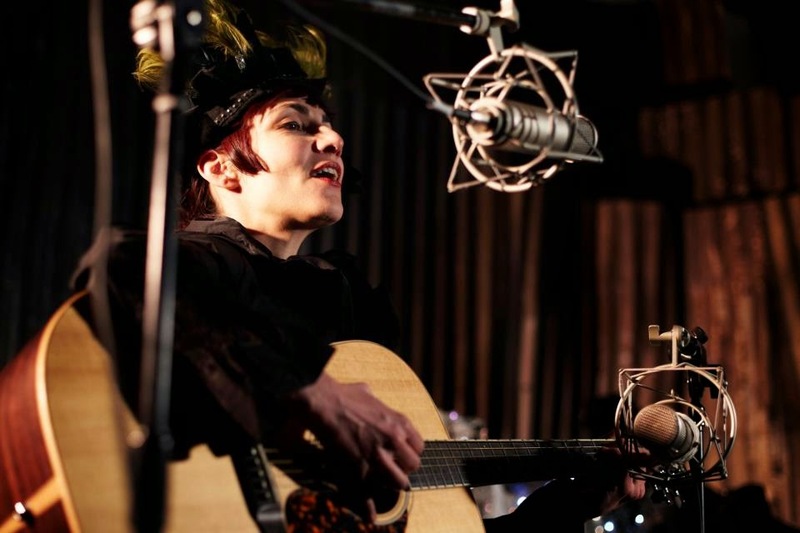 The dark-haired, slim singer describes how she grew up on a diet of folk music. Traditional Alevi music artists such as Arif Sağ and Mahsuni Serif, along with older recordings in Kurdish and Turkish by local musicians were regularly played in her family home. Western sounds initially came by way of family interventions: her sisters introduced her to Tracy Chapman and Joan Baez, while a cousin took the teenage Çiğdem to a Chris de Burgh concert where she first heard Lady in Red, which she sang to herself for a while afterwards. When she was 13, a family friend bought her a cassette by Levent Yüksel – his debut album Med Cezir – which she listened to a lot. She also loved the sounds of composer and musical pioneer Erkan Oğur. Collectively, these artists helped shape her awareness of the world of music. Which artists do you listen to today? Her musical projects, performing as a guest vocalist for multiple musicians and bands, have given her an opportunity to study old Greek, Balkan and Kurdish recordings, broadening her repertoire. She regularly sings to Balkans music, which she says, “doesn’t feel like a stranger: although I didn’t understand the language or poetry of the music at first, I can relate to it”. It is the ability to go beyond the immediate, exploring the similarities and differences of the Folk genre in other languages that most fascinates her. For her first musical release, Çiğdem beautifully reworked the rebetiko and smyrneiko sounds of the 1920s and 30s. She sings effortlessly in Greek, Turkish and Kurdish in both her studio recording and live renditions, her sublime vocals and theatrical stage persona perfectly suited to these once-outlawed songs of the Aegean, which were highly popular with the underclass in the hash dens and music houses of Athens and Istanbul during one of the most turbulent periods in the two countries’ history. You’re not Greek or from Izmir, so how did rebetiko form the crux of your debut release? 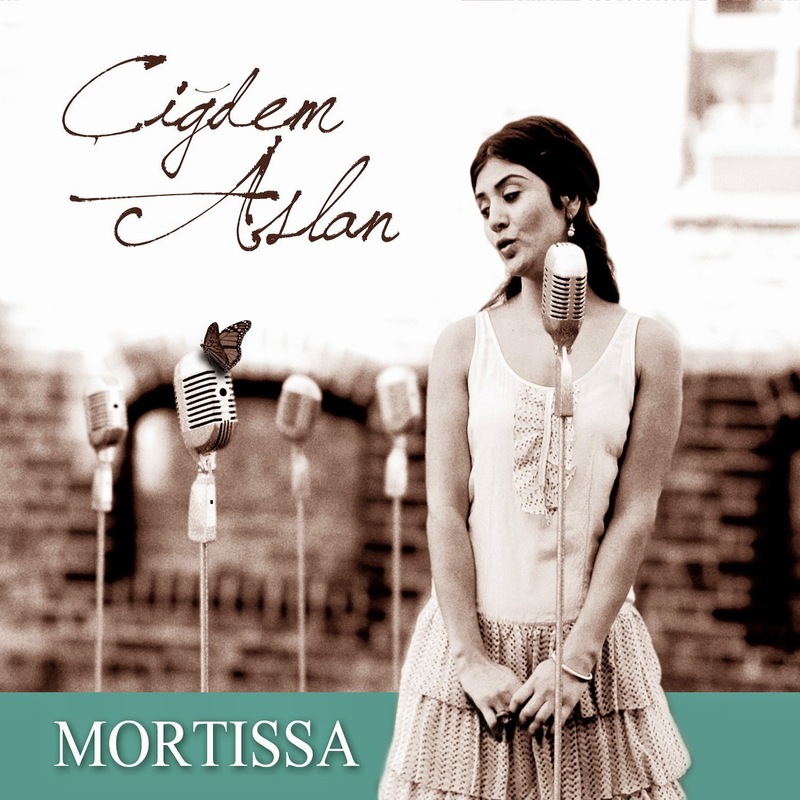 The track listings for Mortissa are either by anonymous writers or those composed by musicians who subsequently had to leave their homeland, their songs full of memories of the life they had left behind in Anatolia. She worked closely with Nikos Baimpas, her band’s kanun player, who served as Mortissa’s musical director, producing most of the arrangements on the album. Claiming she is neither a rebel, nor a conformist, Çiğdem’s playful side and that of the rebetiko style is fully evident on the album: one song is about Katerina who makes great meatballs, another about two lads selling leeks and who are worried about the police, while one is about a woman who tells her cheating husband that she's off to spend each night with a different butcher! Her creativity is not just limited to music. For the past two years, she’s also run Flying Goats, a vintage shop in Stoke Newington, with close friend Sevil Kotan with whom she has recently started to collaborate writing song lyrics. The shop name came from Sevil having a ‘flying mind’ and Çiğdem being a Capricorn. She says, they are not business-minded and are mainly running the shop, “for the fun of it”, which has become a cool hangout for friends old and new who come to check out the rare vintage items they stock. 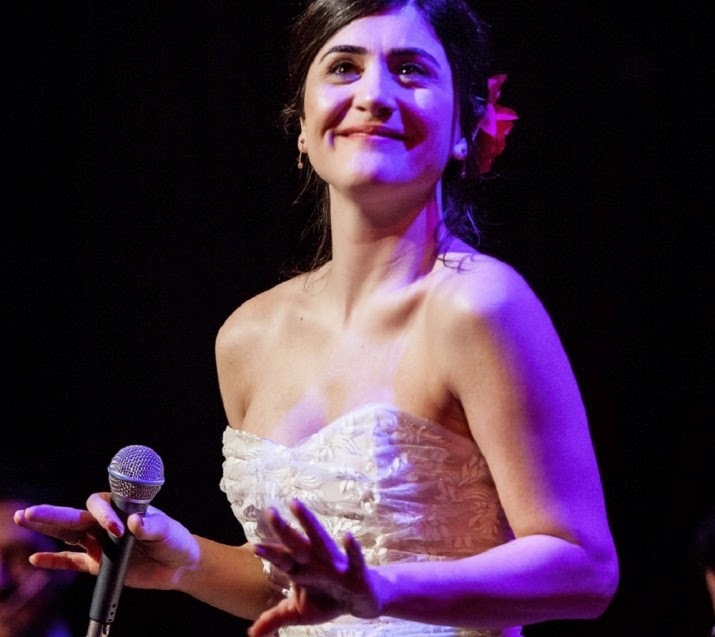 The singer remains rooted to Hackney, a major hub for the UK’s Turkish-speaking community and where Çiğdem has lived since she first moved to London. 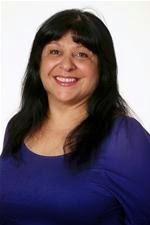 She says she enjoys the diverse mix of people and the area remains a big draw for those in the creative industries. What’s so good about Hackney? An independent woman making her own way in the world, Çiğdem Aslan deserves all the success and recognition her career will inevitably bring. Slight in frame but big in voice Çiğdem Aslan, is an enchanting addition to the musical world of rebetiko or ‘the Aegean Blues’. 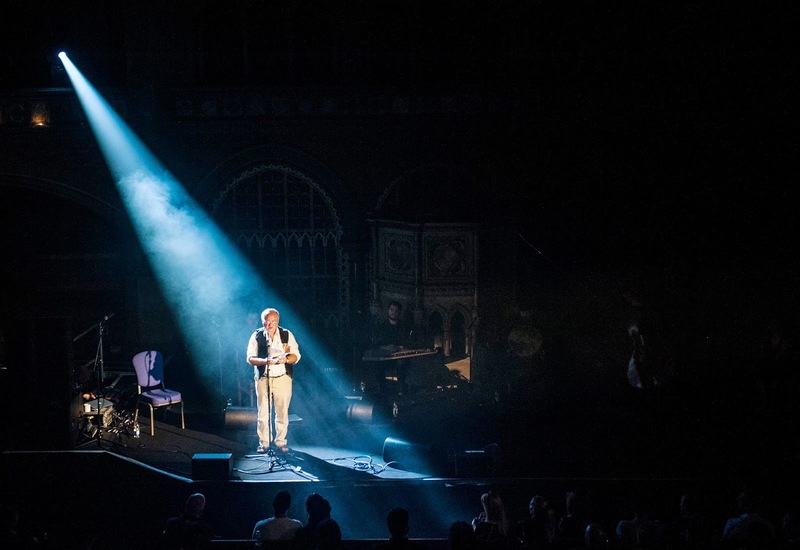 In her most recent London concert, Aslan transported audience members from the wooden pews of Islington’s 19th Century Gothic style Union Chapel to the cobbled side streets of Smyrna (Izmir), the vibrant popular quarters of Constantinople (Istanbul), and the bustling working class areas of Athens. Aslan delighted audience members with the contemporary reworking of old rebetiko (also called rembetiko or rebetika) style songs – the shared musical repertoire of the Turks and Greeks, born before the collapse of the Ottoman Empire and the 1920s mass population exchange between Turkey and Greece. Joined on stage by Nikos Baimpas (kanun), Michalis Kouloumis (violin), Vasilis Sarikis (percussion) and Paul Tkachenko (bass), Aslan’s delicate soulful voice explored themes such as poverty, exile and love – typical of the rebetiko tradition – with emotional depth and sensitivity, effortlessly slipping between melismatic flourishes and carefully crafted lyrical melodies sung in Greek, Turkish and Kurdish. 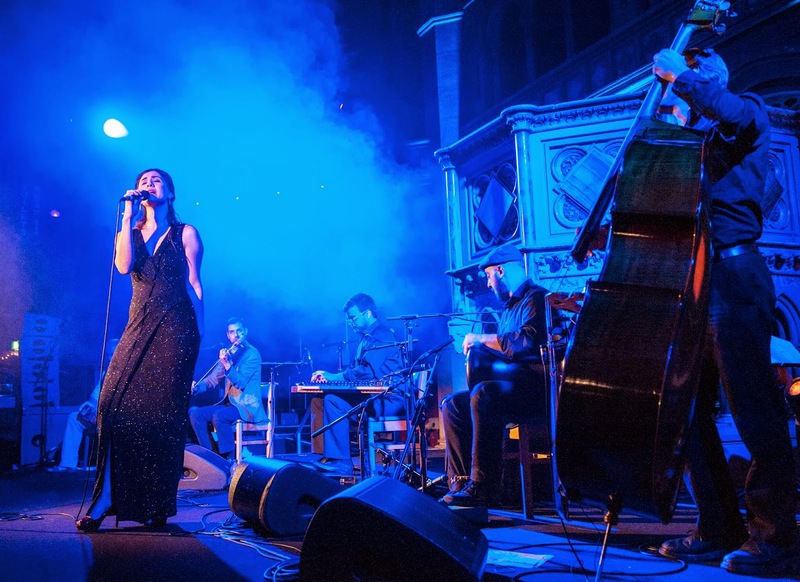 Traditionally this is the music of the somewhat ‘rebellious’ underclass, and Aslan captured the spirit of rebetiko not only through her vast vocal ability and rich musical palate, but also through her charismatic stage presence. Aslan’s animated presentation, although subtle, alternated between charming, playful and stately bringing to life the characters found in the well-chosen interspersed readings by bestselling author Louis de Bernières of his World War I Turkish-Greek novel Birds Without Wings. This provided an extra creative dimension to an already memorable concert; one which will carve a place in our musical memories long after Aslan has safely returned us to our wooden pews in Islington. Students primarily from North Cyprus have launched a new group for young Turkish Cypriots in the UK. Called Kibrisli Turk Gencligi Ingiltere (KTGI), the group intends to form a strong professional and social network for those studying in Britain, along with promoting their Turkish Cypriot culture and identity. It is being supported by the TRNC London Representative’s Office, cross-party politicians in the TRNC, British Turkish Cypriot councillors, community leaders, businesspeople and professionals in the UK. Medical student Ülvan Özad and a score of other university undergraduates organised the launch event on 11 December at the Turkish Cypriot Community Centre in Harringay, North London. The TRNC’s youngest MP Zeki Çeler, TRNC London Representative Oya Tuncalı, and Dr Teoman Sırrı MBE were among the evening’s keynote speakers. The TRNC President Dr Derviş Eroğlu, the TRNC Foreign Minister Özdil Nami and many other TRNC MPs also sent messages of support for the new group. KTGI is not only for TRNC-born students, but also intends to attract Turkish Cypriot students and young professional born in the UK, said to number over ten thousand. To date, 659 people have ‘liked’ KTGI’s Facebook page and there was a good buzz during the well-attended launch event. 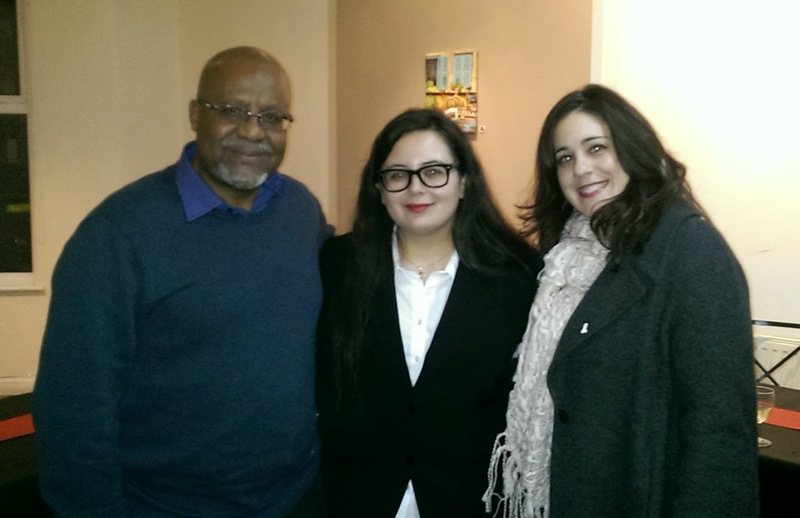 Following the inaugural event, KTGI has been in touch with other British Turkish Cypriot groups including the Young Turkish Cypriot Professionals Association. A Turkish singer who turned to crowd-funding to help finance her new album has hit her target on the very last day of the appeal. Djanan Turan had given herself a month to raise the funding shortfall required to finish the recording of her new EP Maze. Her appeal on Kickstarter inched forward throughout December, only passing the £4,000 target with just a few hours to go before the Christmas Day deadline. Nearly 100 backers pledged a total of £4,007. Of these, 94 opted to receive a gift once the EP is completed early in 2015, with the remainder simply donating to help Djanan reach her target. The funding means she can now pay for the remaining studio and production time for Maze, as well as the mixing, mastering and printing costs of the CDs. The talented singer-songwriter has employed Raz Olsher to produce her new EP. Olsher has previously topped the UK charts producing Sam and The Womp’s hit song Bom Bom in 2012. And her verdict on crowd-funding? “Despite the work side, and the freaking out bit, I loved it! I must say, I did struggle to properly keep up with the whole social media thing, but this gave me a better grasp of it, and a nice pace that I can carry on with. It’s connected me to loads of people from different times of my life and the support has been soooo heart-warming, honestly. It’s not just the money; I have received so much emotional support for the whole project, so many lovely messages. Thank you all”. 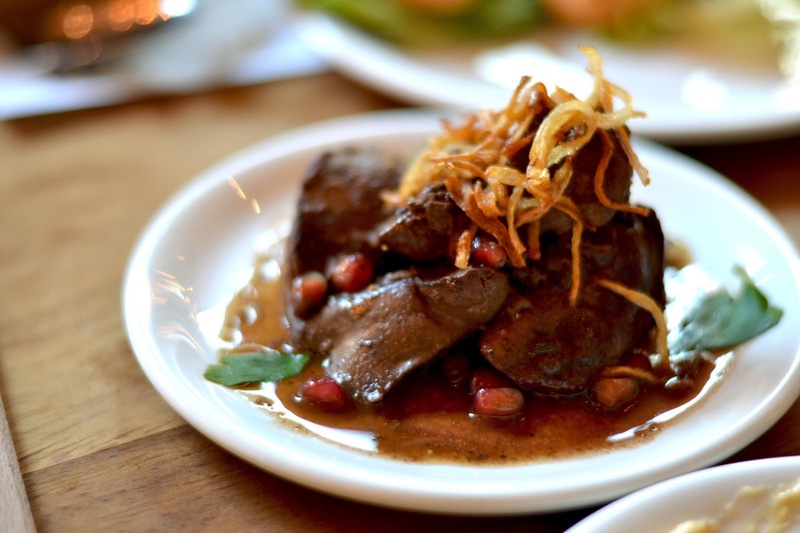 “An Iranian and a part-Turk walk into a Levantine-inspired bar (and restaurant)". Remarkably, not the opening to a joke with potential to offend, but an innocuous intro to an evening at recently launched Arabica Bar & Kitchen in the thick of Borough Market. s than sacrilege. And so – on only their second day of trade (after a soft-launch period) – I arrive in the heat of the evening expectant, hungry and with a Persian in tow for good measure. The Arabica brand began life on this very ground over 14 years ago, selling a modest range of home-cooked meze wares amongst what was then just a handful of other merchants. Since then, it has expanded into trading at several London market locations, developed an impressive online offering and also boasts a Selfridges concession. 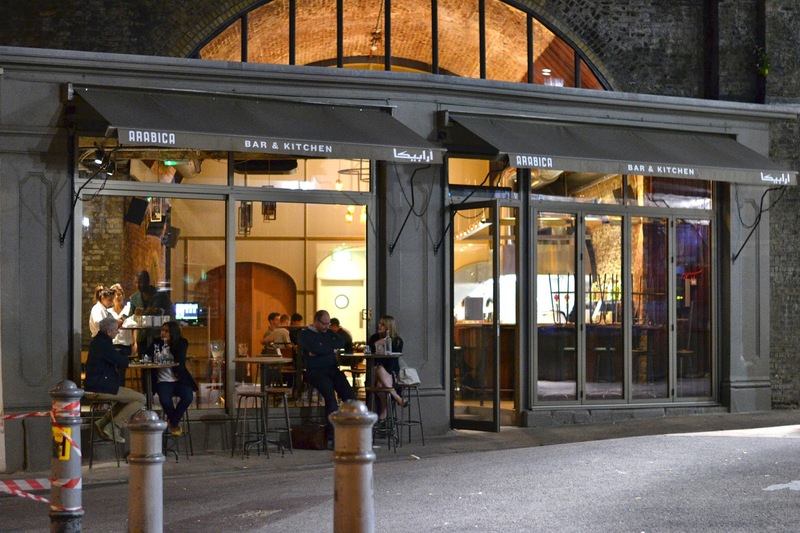 The opening of Arabica Bar & Kitchen – with its splendid high arched ceiling and bare bricks – sees the brand come of age. It has blossomed into a devilishly handsome and confident young buck that feeds people great food and flirts with wild abandon from the menu. There are exposed steel ducts and mirrors to widen the space; there’s a long bar, booths and tables with those on-trend (but somewhat uncomfortable) classroom-style chairs, and full-length bi-folding doors to let in the sultry night. The clientele is an eclectic mix; from straight-from-the-office types who – in spirit – clocked out shortly after lunch, to those free from the shackles of 9-5 LED strip lighting, sporting burnt calves and rosy cheeks from a day lolling about in London’s sunshine. The atmosphere is entirely at ease, whilst still sophisticated enough to impress a date or play host to a few suits. The menu is portioned off into manageable chunks – dips, raw / cured, fried, clay oven, stove / grill / charcoal, salads, veg. / rice / pulses – each offering a handful of choices. Whoever devised it is a clever sod, because the format dictates what feels like natural logic: these are all small sharing plates, so we’ll choose one from each group. Be warned, doing so can unwittingly push up the bill and result in a spread in excess of what is reasonable for two people to consume. Or in our case, a mere nod of acknowledgement from Gluttony. We of course, cleared the lot. The texture of a well-cooked chicken liver is up there with the best the food world has to offer; the ones here were velvety and tickled by the sweetness from sticky pomegranate molasses, dressed with jewels from the fruit and a flourish of crisped onion slithers (£6.50). A moat of glossy whipped-up humus (with ghee!) surrounded by a chunky island of tender lamb fillet and toasted pine nuts (£6.50). The cacık – strained yoghurt with garlic, cucumber, lemon, olive oil, mint and dill – was better than my dad’s (£5.50), and the moutabel – smoked aubergine with tahın and bejeweled with pomegranate seeds – managed to beat the other two in the which-dip-can’t-we-leave-alone game (£6). Levantine pastries of akawi cheese, nigella seeds and parsley were good, if a little heavy. I prefer the thinner filo used in böreks, probably because they’re what I’m used to. The advice to wrap them in the lettuce leaves and fresh herbs they were served with did lift them, however (£6). 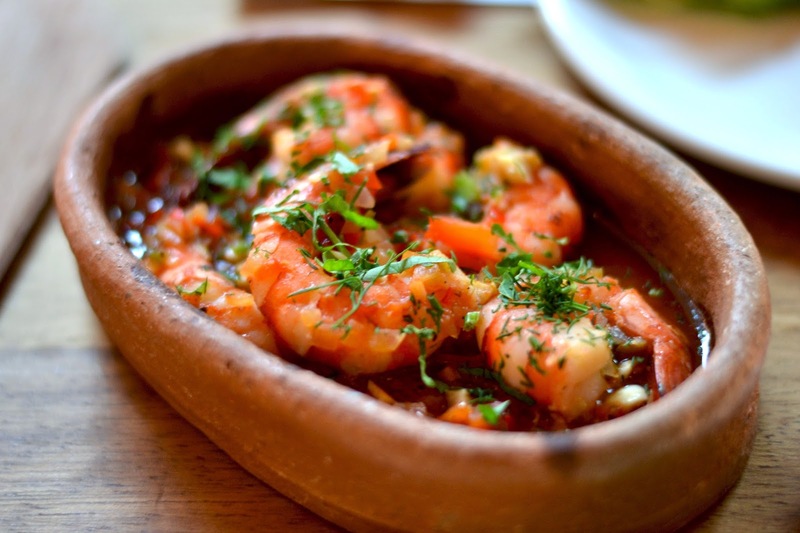 King prawns with peppers, garlic and the sweet smokiness of Turkish Urfa chilli were very pleasant (£9). 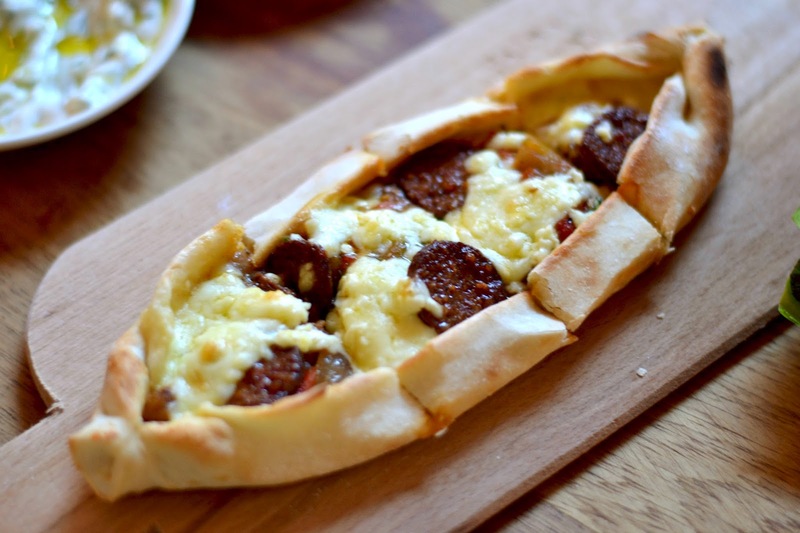 Then there was the pide boat – an oval vessel of pillowy-rimmed bread transporting spicy beef sausage, barbecued red pepper sauce and yielding hot hellim to our mouths (£7). Then there were beef and bone marrow köftes with a defiant love-it-or-get-the-hell-out promise of “served rare” on the menu. My dining partner applauded the fearlessness; “Order meat in Edgware Road and they'll cremate it because of their religious beliefs. Persians are not Arabs – we like our meat rare! I’m so bloody pleased it’s pink.” Tight little balls of savoury and succulent sensation – very good (£9.50)! Our banquet closed with knafeh – a slab of shredded filo pastry cooked in butter and soaked in syrup, encasing a treasure of cheese at the centre. I’d prefer the cheese a touch more salty and it needed more butter or syrup as filaments of pastry were catching in the Iranian’s throat and was a little dry on my tongue (£7) - I had a glorious one in Istanbul once. Then there was a Turkish coffee, with warming undercurrents of cardamom, affogato over halva ice cream which I thought was very clever (£5.50). This place makes people happy through that age-old winning combination of warm hospitality and very good food. The entirety of the remaining menu are things I want to eat more than three times and so I suspect this place will become a regular. My final words: chef James (who you’ll find in the kitchen) has lovingly recalled and transcribed the Arabica journey from its conception to the present day. It’s a great story, he tells it well and it will make you appreciate the passion from the kitchen even more – do have a read. Liked lots: a great looking menu, that tartare, dips, kofta, cocktails, design, atmosphere, staff, a spot on wine list devised by wine man of the moment Zeren Wilson - we enjoyed a very agreeable bottle of Grenace-Cinsault 2012 rosé. 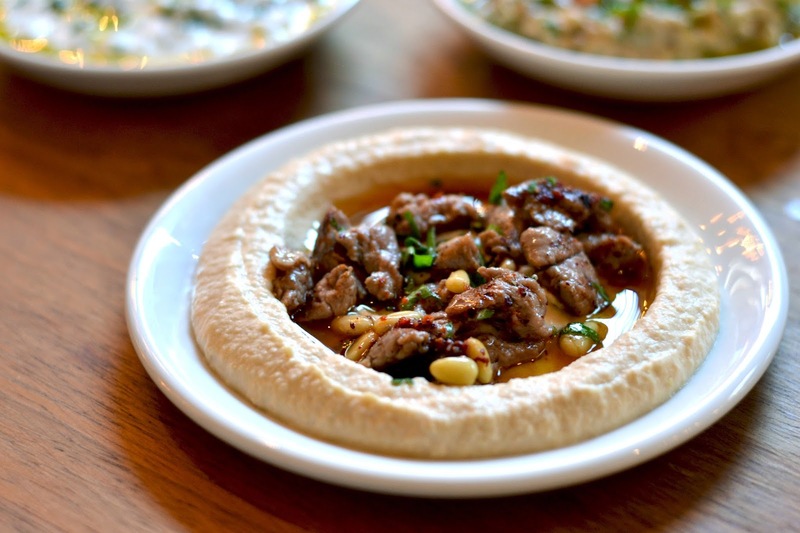 Good for: exciting Middle Eastern food that isn't stuck in the tired old ways of Edgware Road, and superior to the Wahaca equivalent that is Yalla-Yalla. The Ottoman Empire is often cited as being ahead of its time for its tolerance of a multi-faith, multi-cultural society. For 600 years, Christians, Jews and Muslims lived peacefully side-by-side, each able to practice their faiths openly. At the height of their power in the sixteenth century, the Ottomans controlled southeast Europe, Western Asia, the Caucasus, North Africa, and the Horn of Africa. Although the rulers were Muslims, they adopted a pragmatic approach to governing their diverse territories and subjects deploying the millet system, which respected the different languages, religions and traditions. While all remaining citizens were absorbed into what is now modern-day Turkey when the Republic was established in 1923, a steady growth in national Turkish identity has come at the expense of the country’s minority groups and multi-cultural heritage. The recent three-day papacy visit to Turkey last month put the spotlight back on its religious minorities. Today only 120,000 – a fraction of the country’s 78 million mainly Muslim population – are Christians, these comprising of a mixture of Armenians, Greek Orthodox, Franco-Levantines, Syriac Orthodox and Chaldeans. Turkey’s Jewish community also continues to dwindle, down to a mere 15,000 people, compared to 80,000 before the state of Israel in 1948. Although the country’s Christian flock remains small, Turkey remains important to the Vatican for its geo-strategic location and regional influence. Three of the previous four Popes have visited the country in the past fifty years: Benedict in 2006, John Paul II in 1979 and Paul VI in 1967. Pope Francis travelled to Turkey on 28th November, where he met with President Recep Tayyip Erdoğan, the Grand Müftü of Istanbul Rahmi Yaran, Patriarch Bartholomew, head of the Greek Orthodox Church, and Turkey’s Chief Rabbi Hakham Bashi. The Pope used his visit to raise the plight of Christians in the Middle East and to promote inter-faith dialogue. In a speech in Ankara on his first day, the genteel Pope, standing next to the Turkish President, said such a dialogue could "deepen the understanding and appreciation of the many things which we hold in common". He also spoke about the Middle East, saying that "for too long [it has] been a theatre of fratricidal wars". The following day, the Pope took part in a joint prayer service with Bartholomew. The Catholic and Orthodox churches have been split since 1054 over differences on the primacy of the papacy. In the past, patriarchs were expected to kiss the pope’s feet. 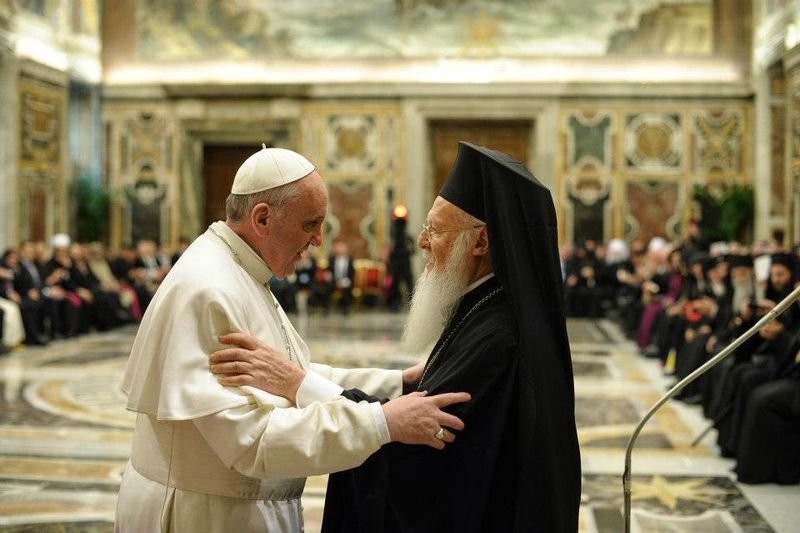 On this occasion, at the end of the service Francis bowed to Bartholomew and asked for his blessing, the papal deference to an Orthodox patriarch underlining Francis' desire to end the schism between the two Churches. 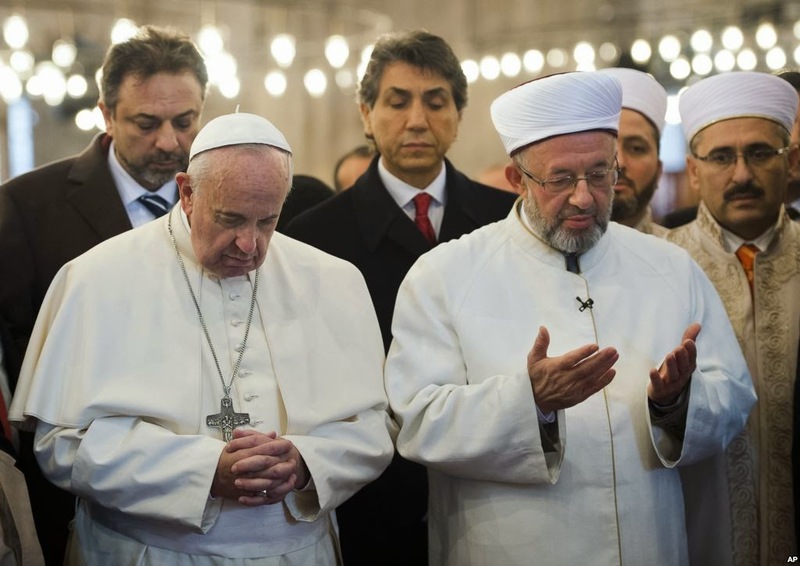 Later that day, the 77-year-old pontiff took part in a Muslim prayer at the spectacular Blue Mosque (Sultanahmet cami) alongside the Grand Müftü of Istanbul to show respect for Islam and encourage stronger ties between the two faiths. Facing east towards Mecca, Francis stood with his head bowed and hands clasped in front of him in a short silent prayer, at the end of which Yaran told Francis, "May God accept it." The Pope then visited Istanbul’s other great religious landmark, the Hagia Sofia, which faces the Blue Mosque. For almost 1,000 years, this was the most important Orthodox cathedral in Christendom, before being converted into a mosque under the Ottomans. It is currently a museum. While generating widespread local coverage, the Pope’s visit and message of interfaith respect has failed to make much of a mark on mainstream Turkish society. In the run-up to Christmas, Bartın, a Black Sea coastal city hit the headlines following an SMS message sent by its provincial education director to head teachers telling them not to allow their children to fall prey to ‘infidel propaganda’. The controversial message contrasts sharply with the aspirations of those in Turkey’s travel sector keen to leverage the Pope’s visit to increase faith-based tourism. 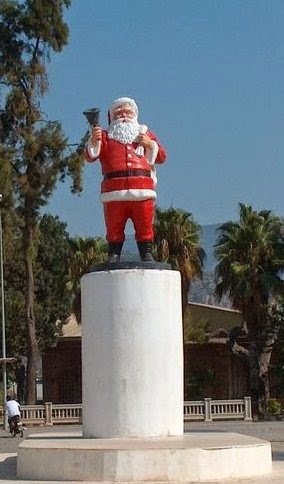 The country is home to many sacred sites, including the House of the Virgin in Ephesus (the last known place of residence for Mary, mother of Jesus) and the Church of St. Nicholas in Myra (Demre), which contains the tomb of the saint, today more commonly known as Santa Claus. According to a recent report by the Association of Turkish Travel Agencies (TÜRSAB), the country hit a 10-year low last year when only 59,000 faith tourists visited, compared to 144,000 in 2007. TÜRSAB Vice-President Hande Arslanalp claimed there were multiple reasons for the drop, primarily the ongoing conflict in the region. She told reporters that Pope Francis’ tour of Turkey could stimulate a rise in faith tourists, just as his predecessor Benedict’s trip had done eight years earlier. Others, including Fikret Çağlan, the head of the Antalya Kaleiçi Culture and Life Association, and Konyaaltı District Mayor Muhittin Böcek, concur with Tamince’s complaints. His administration, a central district within Antalya, was preparing for New Year’s Eve by decorating its streets and trees. Antalya City Council came under the control of the Justice and Development Party (AKP) following local elections earlier this year. The party, led by Recep Tayyip Erdoğan, has observed an increasingly conservative Sunni Islamic path in recent years, which have angered and alienated the country’s secular Muslims, along with religious and ethnic minorities. One community in fear of the turning tide are Turkey’s Jews. Their ancestors sought refuge in the Ottoman Empire after their expulsion from Spain in 1492, and for over 500 years they thrived as merchants and traders, with some rising to become advisors to the Sultan. The Neve Shalom Synagogue was once the hub of Istanbul’s lively Jewish neighbourhood. Today, it remains barely noticeable as it seeks to blend into its surroundings. Armed security guards are deployed to protect the site, while members of this tiny community are now advised to keep a low profile. Many believe the increase in hostility they have faced over the past decade is due to a rise of religious conservatism and the deterioration of Turkish-Israeli relations, the latter providing a regular channel for nationalist conservative Turks to vent their hatred of Jews. During the last Gaza assault by Israel over the summer, some 27,000 Turkish twitter users posted messages supporting Hitler’s genocide against the Jews. But it’s not just members of fringe groups circulating messages of hate, pop stars such as Yıldız Tilbe and even deputies from the ruling AKP are at it. In one tweet, MP Samil Tayyar said, "May your race vanish and may you always have your Hitler." Many observed the lack of disciplinary action against the MP and a failure from his party to distance itself from the inflammatory language. Indeed anti-semitism has become so endemic in Turkey that in September President Obama asked his counterpart Erdoğan to take measures to counter it. Turkey’s other minority groups, including Armenians and Greeks, have also raised their concerns at the growing intolerace in Turkey, where verbal and physical attacks are now common place. In an interview with the BBC, Fotis Benlisoy, one of the few Greeks of Turkey, said: "The threatening feeling for non-Muslim minorities here is coming again. "There are many reasons: language and policies of the government, the president and prime minister using more conservative references to Sunni identity, pejorative words for non-Muslim communities coming from members of the cabinet, so much circulating about Turkey's relations with Isis [the Islamic State militant group based in Syria and Iraq] – all of this is making us think we might need an escape strategy." Today marks the start of a dark chapter in Cyprus' recent history. 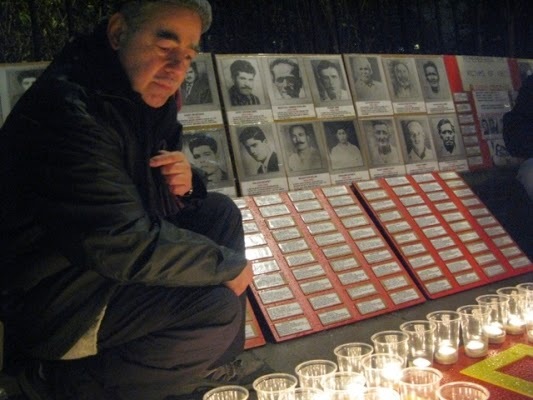 Between 21 and 31 December fifty-one years ago, 133 Turkish Cypriots were murdered or abducted, while thousands more were made homeless in a period dubbed Bloody Christmas. This horrific ten-day killing spree also signalled the start of the Cyprus Conflict, planned by the Greek Cypriot hierarchy through its notorious Akritas Plan. Its aims were simple: to end the partnership arrangement between the two communities by terrorising the Turkish Cypriots into accepting a minority status and then to unite the island with Greece (Enosis). The campaign's timing was deliberate: starting a few days before Christmas, when many of Cyprus’ foreign press and diplomats would have left for their vacations. By the start of 1964, the Greek Cypriots had succeeded in their brutal coup, taking over the running of the government of the Republic of Cyprus while Turkish Cypriots sought to save their lives. Among those mercilessly killed were Mürüvet İlhan and her three children Murat, Kutsi and Hakan, all found slain in their bath at their home in Kumsal, Lefkoşa. Other victims included 10-year-old Ayse and her grandmother Ayse Hasan Buba, who were buried alive in Ayvasil. Many were also killed as they lay sick in state-run hospitals. To date, the Greek Cypriot authorities have yet to admit their guilt and apologise for these murderous acts. Back in 2010, Turkish Cypriot human rights group held a vigil outside the South Cyprus embassy to remember the victims of Bloody Christmas. The group's members undertook a painful study, collating the details of each of the 133 victims, their names and ages all displayed on boards, along with photos, and a candle lit in memory of each person who passed during this tragic period. With the passage of time, it's important we all learn to forgive and to also remember that Greek Cypriots have suffered immensely as a result of this conflict. Yet it's important Turkish Cypriots do not forget their own victims and allow others to whitewash history as if this tragedy never occurred. 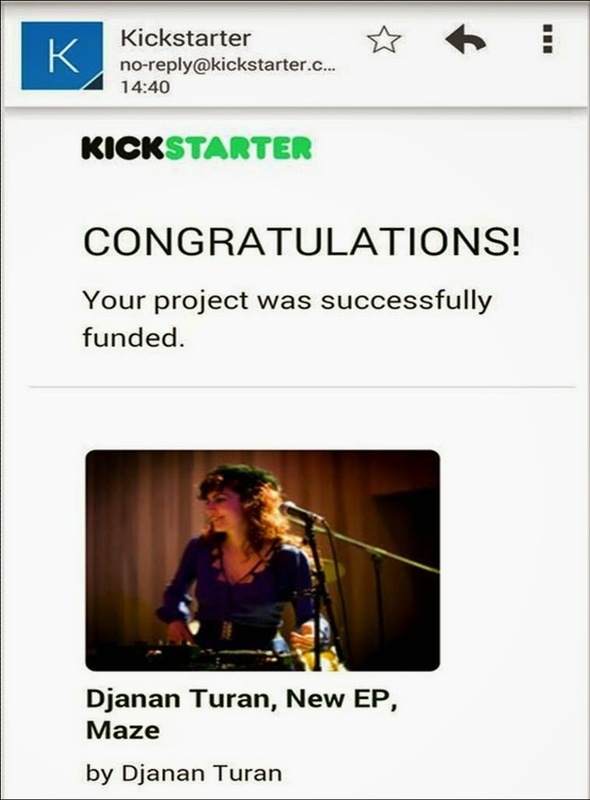 A talented singer-songwriter has turned to crowd-funding to help finance her new EP. Following two critically acclaimed releases, Djanan Turan, originally from Turkey and now based in London, is in the process of recording her new EP Maze. The singer, who performed at the inaugural London Turkish Heritage Day event in Enfield last week, is seeking to raise £4,000 to cover the cost of the new five-track EP. 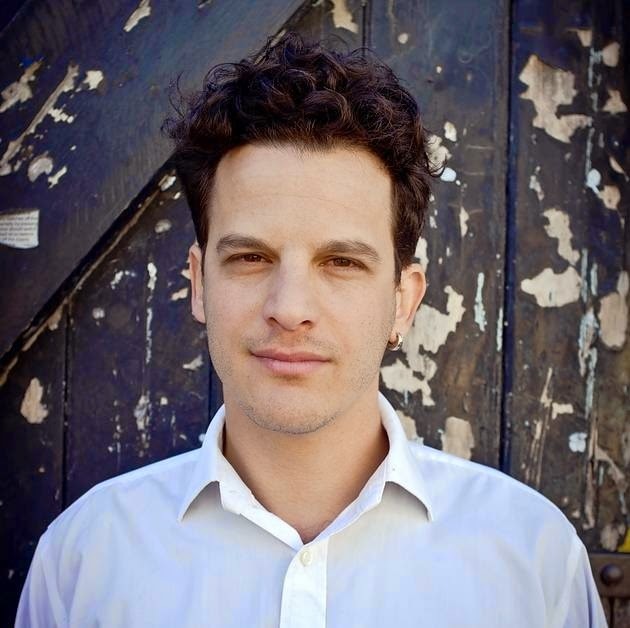 It’s being produced by Raz Olsher, who topped the UK charts in 2012 with Sam and The Womp’s lively Bom Bom track. As of today, Djanan has reached just over half the required total, but still needs £1,500 to reach her target by Christmas Day. If the money can be raised in full, she intends to complete the EP in January. The funds will help to pay for the studio hire, production time, mixing, mastering and printing CDs. To date, the singer has released two albums: Düğüm, in Turkish, followed by her debut English EP Artigo at the end of 2011, both produced and released by legendary drummer Tansay Omar on his Natural Rhythm Recordings label. Described by World Music guru DJ Ritu as a, “Dazzling & delightful Turkish singer/composer”. 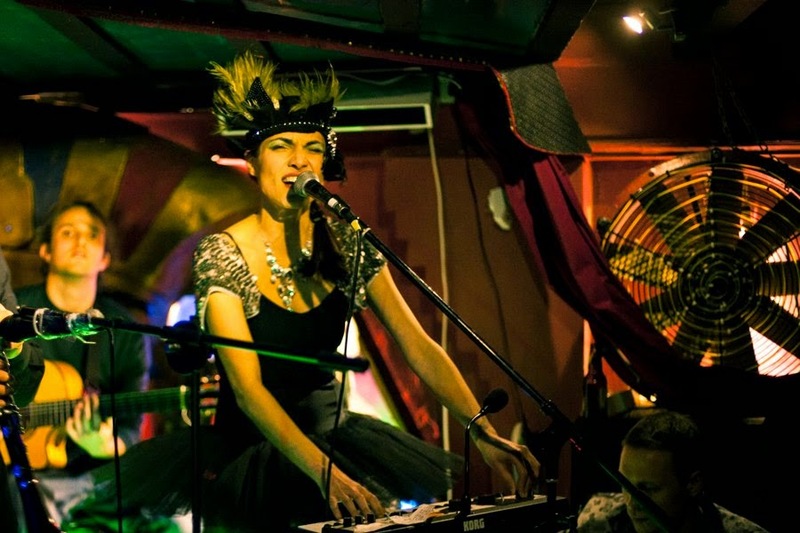 Djanan’s eclectic musical style fuses together Turkish folk, bolshy, Balkan skank and edgy electro-global beats, which is garnering a growing fanbase in Britain and Turkey. The five new songs on the EP include one dance track, produced by electronic dance pioneers The Egg and four others which are, “a blend of subtle Turkish flavours, folk, and dreaminess”. Pledges to help finance Djanan's new EP start from as little as £3 and there are lots of goodies on offer to suit all budgets. For £3 you are emailed the new tracks in MP3 format. Donate £12 and you get a signed copy of the CD and an invitation to their London album launch party. Pay £30 and be an extra in Djanan’s new video, or for £40 be their dinner guest in April, at a beautifully decorated North London warehouse where Djanan and her band will play live. You can even hire the whole band to perform live for £700! In need of a warm getaway this Christmas? 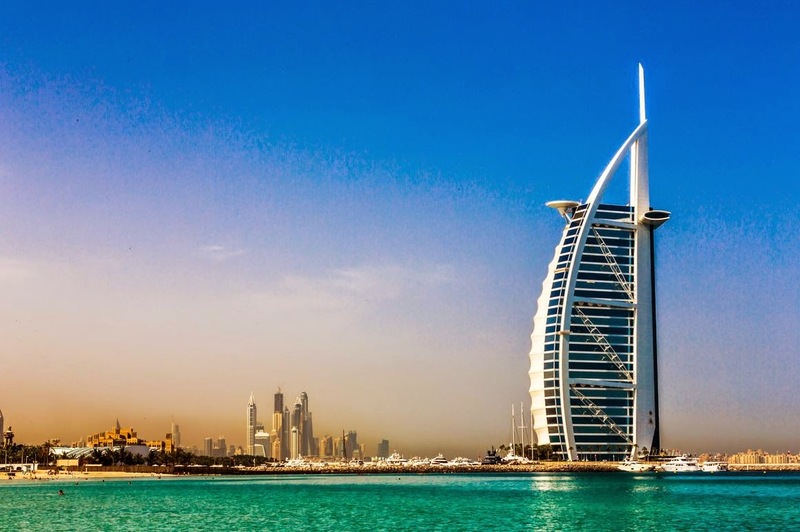 Dubai boasts flawless weather, gorgeous beaches, luxury hotels, amazing modern architecture and the opportunity to shop till you drop! · At 830 meters, the Burj Khalifa in Downtown Dubai is the world’s tallest building and the view from the top of its 160 floors is simply breathtaking. Also in its grounds are the splendid Dubai Fountains, where ‘dancing’ water shoots 150 metres into the air. · Fun for all ages, it gets your adrenalin pumping on mega slides, spectacular rides, and zip lines at the Aquaventure Water Park on Palm Island, or you can simply chill on the beach. · Do a camel trek safari and get close to the Arabian Desert. Perfect for sunset, before enjoying a meal under the stars in a traditional Bedouin desert camp. 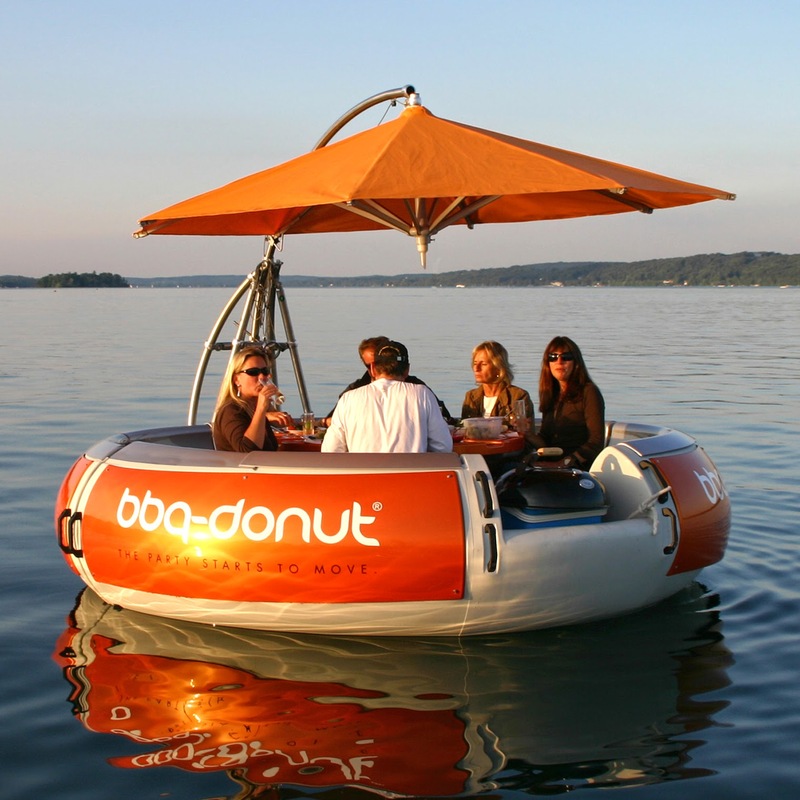 · Dinner on a Donut: a unique BBQ experience aboard your own inflatable donut that gently travels along Dubai Creek. Choose from an à la carte menu or grill your own. · Special occasion? Indulge your palate – and your wallet! – with mouth-watering seafood at Al Mahara in the iconic Burj Al Arab (a luxury hotel shaped like a sail). Its opulent setting includes a floor-to-ceiling aquarium. · Meena Bazaar is for traditional shopping: plenty of bargains and high quality goods, from clothing, to electronic goods and jewellery. Be ready to haggle hard for good discounts. · Taking retail therapy to another level, the Dubai Mall is the largest in the world with over 1,200 stores. Great for brand-lovers but with some 502,000m2 to cover, it’s good to plan ahead which shops to visit. · Start your evening sipping cocktails and watching the sun set from the terrace of the Latin-inspired Calabar Lounge. · You’ll find the party-crowd at Cirque Le Soir where performance artists mingle with A-list celebrities and tourists. Music varies every night. · For spiritual enlightenment, visit the beautiful Jumeirah Mosque, where 1,200 people congregate for prayers. Part of UAE’s ‘Open Doors. Open Minds’ programme, the mosque is open to the public six days a week (not Fridays) offering a unique chance to learn about Emirati culture and religion in a relaxed atmosphere. · Angsana Spa is ideal for relaxation and re-alignment. This award-winning spa offers massages, facials, polishes and beauty treatments to melt the stresses of life away to leave you rejuvenated.